Enemies of the United States come and go, but the longer they espouse revolutionary ideals and thus defy the United States, the longer they stay enemies. Eventually, U.S. officials try other strategies, such as engagement, to undermine or win over these adversaries. Currently, the U.S. does not recognize/have diplomatic relations with only three countries—two built on revolutionary models that the U.S. doesn’t like, the Islamic Republic of Iran and the communist regime of North Korea — and Bhutan, a remote Asian kingdom in the Himalayan mountains that purposely isolates itself and has diplomatic relations with only India. I’m on the way to visit a former U.S. enemy but now recognized diplomatically by the U.S.: Cuba. This trip will be my third in 18 months and the second since the U.S. reopened diplomatic relations with Cuba. The Obama administration took the big leap of talking with the “enemy” with its secret discussions with the Cuban government over a period of two years. While discussions were proceeding, commercial businessmen and journalists provided the political cover for Obama to withstand the withering criticism from those who strongly opposed dealing with the Cuban government that has been in power since the Cuban revolution in 1959. The U.S. broke diplomatic relations with the new Cuban government on Jan. 3, 1961, because of its nationalization of U.S. businesses in Cuba and its alliance with the Soviet Union. On July 20, 2015, U.S.-Cuban relations were reestablished after 54 years. On March 20, 2016, President Obama visited Cuba, becoming the first U.S. President in 88 years to visit the island. Yet, despite diplomatic relations, U.S. sanctions and restrictions remain on Cuban trade and commerce, based on the “Trading with the Enemy Act” and kept in place by strong political pressure from south Florida and its Cuban émigré population, much of which moved to Florida to escape the Cuban revolution. But the U.S. and Cuban decisions to dialogue showed that long broken diplomatic ties can be reestablished. There was hope that the Obama administration would reach a similar accommodation with Iran after almost four decades of ruptured ties resulting from the seizure of the U.S. Embassy by Iranian militants on Nov. 4, 1979, and the holding of 52 U.S. diplomats for 444 days. But negotiations with the Iranian government to constrain the Iranian nuclear program in 2015 have not yet led to reestablishment of diplomatic relations. Both the Obama and now Trump administrations have made clear that the U.S. will not talk about reestablishing diplomatic ties because of what Washington calls Iran’s meddling in the affairs of its neighbors — Iraq, Syria and Yemen. For its part, Iran notes that the U.S. has invaded and occupied countries in Iran’s neighborhood for over 16 years, Afghanistan and Iraq, and has launched military operations in other countries in the region, including Syria and Yemen. During much of the Cold War, Washington refused to recognize the communist Chinese government that controlled the mainland in favor of defeated Nationalists who had fled to Taiwan. 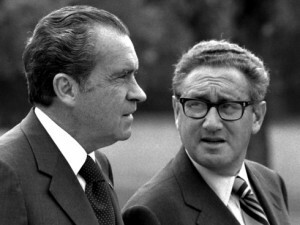 However, in July 1971, Secretary of State Henry Kissinger made a secret trip to the People’s Republic of China (PRC), followed by President Richard Nixon’s visit to China in 1972. The U.S. did not fully recognize the PRC until 30 years after its founding as a communist state because of the PRC’s participation in the Korean War on the side of the North Koreans. Finally, on Jan. 1, 1979, during the Carter administration, the U.S. switched recognition from Taiwan to the PRC. Interestingly, the United States never broke diplomatic relations with the communist government in the Soviet Union, from its founding in 1917 through the tense days of the Cold War. After the Soviet Union dissolved in 1992, the U.S. shifted diplomatic relations to the Russian Federation. Even with the current high tensions with Russia, dialogue continues as does cooperation in certain areas. For example, the Russians’ launch-and-return responsibilities of the international astronaut corps to the International Space Station have not been interrupted. In the late 1950s, the United States embarked on its longest war at the time, 15 years of attempting to overthrow the communist government of North Vietnam and to maintain a pro-U.S. regime in South Vietnam. After the defeat of the Japanese in World War II, the United States supported France in trying to reestablish its colonial control of Vietnam. After France was defeated and Vietnam was partitioned, the United States blocked elections that likely would have reunified the country under communist Ho Chi Minh and eventually the U.S. committed half a million troops to the ensuing civil war. In 1975, however, the South Vietnamese government collapsed, dealing the U.S. a humiliating defeat. It wasn’t until 1995, 20 years later, when President Bill Clinton established diplomatic relations with the Republic of Vietnam. “Pete” Peterson, an Air Force pilot during the Vietnam War who spent over six years as a prisoner of the North Vietnamese army after his plane was shot down, became the first U.S. Ambassador to Vietnam. In January 2007, Congress approved Permanent Normal Trade Relations (PNTR) for Vietnam. In the same region, the U.S. never diplomatically recognized the government of Democratic People’s Republic of Korea (North Korea) after World War II but instead set up its own compliant government in South Korea. During the Korean War in the early 1950s, the strategy of the United States was to crush North Korea with a scorched-earth policy that leveled virtually every town and city. 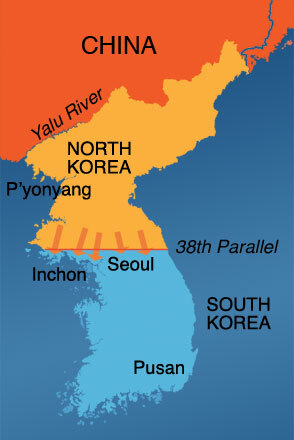 Though the hot war ended with an armistice in 1953, there was never a peace treaty, leaving North Koreans to face a huge U.S. military presence in South Korea while the U.S. assisted South Korea in building a powerful economy. While South Korea blossomed economically, North Korea had to divert its human and economic resources into defending its sovereign country from continuing threats of attack, invasion and regime change from the United States. 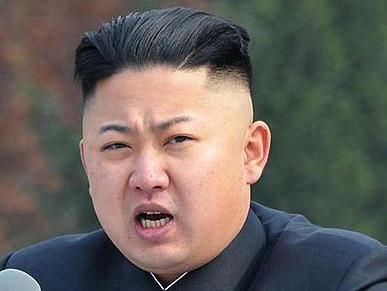 North Korea, however, did expand its diplomatic relations with most nations. At the start of the Cold War, North Korea only had diplomatic recognition from other communist countries but it later established relations with developing countries and joined the Non-Aligned Movement. By 1976, North Korea was recognized by 93 countries and by August 2016 it was recognized by 164 countries. The United Kingdom established diplomatic relations with the DPRK in 2000 and Canada, Germany and New Zealand recognized North Korea in 2001. Today, the United States, France, Japan and Saudi Arabia are the only large states that do not have diplomatic relations with North Korea. Under the new Trump administration, dialogue with the North Koreans has not been ruled out. However, as with the Bush and Obama administrations, the starting point for the U.S. for talks is still the North Korean government suspending or ending its nuclear weapons and ballistic missile programs. Those demands are non-starters for the North Korean government without a peace treaty and while the U.S. continues annual military maneuvers with the South Korean military, threatening regime change in the North. The latest set of maneuvers was code-named “Decapitation”. The North Koreans are also aware what happened to Iraq and Libya after their leaders surrendered WMD stockpiles, a move followed by U.S.-backed invasions and the executions of the two countries’ leaders. North Korean leaders consider their nuclear program the only deterrent to another U.S. invasion. So, while under the most stringent international sanctions, North Korea has developed nuclear weapons and ballistic missiles and has placed satellites into orbit. Thus, despite U.S. threats, U.S. leaders have to contemplate the potential destruction of South Korea and much of Japan if the U.S. launches a new war against the North. That is why the only rational hope for resolving the standoff is to finally negotiate a Korean peace treaty and make the North Koreans no longer terrified of another U.S. “regime change” war.